(BPT) - Football games, tailgating, barbecue and the onset of cooler temperatures make Texas the perfect destination for any fall guys getaway. Check out the top five reasons to plan your next “mancation” to the Lone Star State. The highlight of every vacation is great food, and Texas has you covered for your next guy’s getaway. 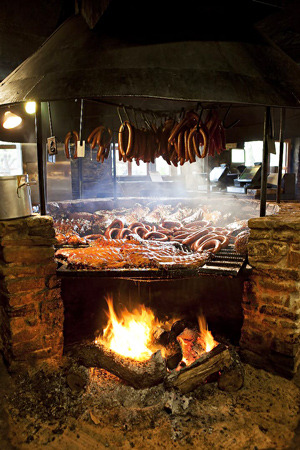 Check out the Texas BBQ Trail for the best routes to take to ensure you don’t go home hungry. Kreuz Market and Smitty’s Market in Lockhart, Louie Mueller Barbecue in Taylor, City Market in Luling and Cooper’s Pit Bar-B-Q in Mason continue to top everyone’s barbecue bucket list, along with newer favorites like Franklin BBQ in Austin and The Granary in San Antonio. Savor every delicious moment and get in line early, because at these local favorites the barbecue gets eaten up fast. There’s nothing better than an ice cold beer on a mild Texas fall day, so why not come discover where your favorite Texas brews are made? Established in 1909, the famous Spoetzl Brewery produces the national favorite Shiner beer and offers tours each weekday. The capital city of Austin is home to several breweries including 512 Brewing, an independent brewery whose tours include a free 512 pint glass; Hops & Grain, which gives tours of its East Austin locale six days a week; Independence Brewing Co., maker of the beloved Convict Hill Oatmeal Stout; Austin Beerworks, best known for its IPAs and can-only policy; and Jester King, whose farmhouse brewery opens its doors for tastings and tours on the weekends. For the oldest craft brewery in Texas, head to Saint Arnold brewery in Houston which offers tours Monday through Saturday. If breweries aren’t your thing, the Lone Star State has a number of distilleries to choose from. Waco’s Balcones Distillery’s Baby Blue Whisky is the first Texas whisky on the market since prohibition, while bourbon fans can’t miss Garrison Brothers Distillery in Hye, the first legal bourbon distillery in Texas. For those who prefer vodka, head to the Deep Eddy Distillery for award-winning vodkas in a variety of fun and classic combinations. Austin Tour Company offers a roundtrip shuttle to the Dripping Springs distillery from the JW Marriott in downtown Austin, making it easy to responsibly enjoy the tour. Grab your boots and fulfill your cowboy dreams at one of Texas’ many dude ranches. Wildcatter Ranch in Graham offers the ‘It’s Never Too Late to Be a Cowboy’ package, allowing guests to rope, ride and even work cattle with seasoned wranglers. Bandera, the cowboy capital of Texas, is home to dozens of ranches that allow guests to have an authentic western experience. With horseback riding, rodeos, overnight campouts and meals around the campfire, you’ll get in touch with your inner cowboy in no time. 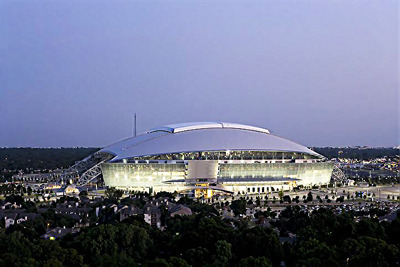 For a different type of cowboy experience, catch a Dallas Cowboys football game at AT&T Stadium, the largest NFL stadium in terms of seating capacity, seating 85,000. Football is king in Texas, and whether you attend a Dallas Cowboys, Houston Texans, or a college football game at one the state’s 12 Division I programs, you’re sure to experience plenty of excitement. Aside from the game itself, food is the next most important aspect of football lifestyle. The parking lots surrounding Texas’ football stadiums are home to some of the biggest and best tailgates in the world, with fans staking out their spots and firing up their grills starting in the early morning. Head to the Texas coast for a guy’s fishing expedition like no other. From Galveston, take any number of gulf or deep sea fishing charters either for a day’s worth of fun or an overnight trip. Mild fall temperatures present the perfect time for fishing, and charters include tour guides who are ready to help either expert anglers or novice fishermen. If your group sticks to a day trip, enjoy the rest of Galveston’s many attractions, including incredible seafood, miles of beaches, amusements at Galveston’s Pleasure Pier and rooftop bars in the downtown area. Whether you prefer football, fishing, or anything in between, the ultimate guys weekend awaits you in Texas. For more information about travel experiences in the Lone Star State, visit www.TravelTex.com and find us on Facebook, Twitter and Instagram.